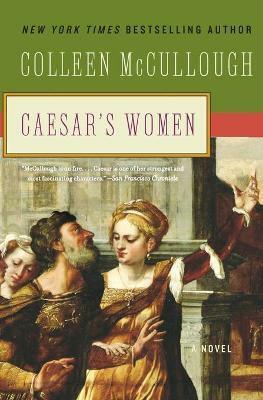 New York Times bestselling author Colleen McCullough re-creates an extraordinary epoch before the mighty Republic belonged to Julius Caesar--when Rome's noblewomen were his greatest conquest. His victories were legend--in battle and bedchamber alike. Love was a political weapon he wielded cunningly and ruthlessly in his private war against enemies in the forum. Genius, general, patrician, Gaius Julius Caesar was history. His wives bought him influence. He sacrificed his beloved daughter on the altar of ambition. He burned for the cold-hearted mistress he could never dare trust. Caesar's women all knew--and feared--his power. He adored them, used them, destroyed them on his irresistible rise to prominence. And one of them would seal his fate.